Abortion may be seen as an easy solution to get rid of unwanted babies but the process in itself is not at all easy. Beside the physical pain and torture, one has to also bear the psychological and emotional upheaval, anger and guilt. The inhumane act calls for great retrospection and introspection. The cause of abortion as well as the duration of pregnancy may affect the level of psychological disturbances but whatever the reason may be one is thing is for sure that abortion is never welcoming and pleasing to the expecting mother. These negative emotions creep into the mind of women in varying patterns and levels. For some these traumatic aftermath last for longer than the others. And for some the guilt and anger penetrates deeper and creepier. For some they remain a haunting memory for ever. What causes the psychological un-rest? After abortion, the hormones rapidly change back to their pre-pregnancy state. The chemical change may also lead to depression and sadness. The sense of eliminating life sprouting from ones very own body leaves one in a state of total unrest. Most of this emerges from the inner moral sense of right and wrong. The fear of disclosure and rejection followed with low self esteem. Self condemnation and low self esteem boots the unrest that feeds on your well being. The term medically describes the emotional and psychological consequences of abortion. Women of all age are prone to it but teenagers are more vulnerable. 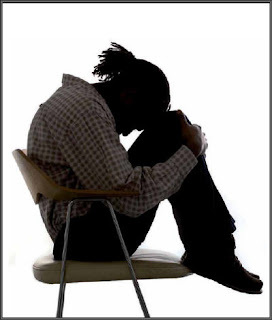 Post-traumatic stress disorder: The disorder may also lead to many eating problems, sexual dysfunction, depression, relationship building problems etc. Depression is one of the very bad thing that may happen to ones psychological and physical health. This stems out from a sense of loss to many women. This may lead to eating disorders, extreme guilt, uncontrollable crying, anger, acute grief, anxiety, sleep problems and in some acute cases an attempt to suicide. Some women may resort to greater intake of drugs and alcohol. Some may also experience jealous and guilt when they see an infant, baby or pregnant woman. Depression may also lead to numbing of emotions and a vow to never fall into the situation again which may affect close relationship. Some may also fear and avoid further pregnancies and interest in babies. Guilt and shame may find an easy vent through anger. Sometimes a pressurized abortion leads a woman into state of anger over the denial of her own right to take a decision of her own. The anger is over the self that one is unable to forgive as well as others involved in the decision making. The anger may also be directed towards the society as well as the other medical complication involved in resulting abortion. Anxiety is an unpleasant state, both physical as well as emotional. A woman after abortion may feel tension, irritation, doziness, headache, sleeplessness etc. Depression is normal after abortion. But this has to last with time as you get involved with your life again. The situation is alarming if you are unable to recover the guilt, depression and self condemnation even after two months of your abortion. Get back to your family history. If there is any case of Post-Partum Depression, or Pre-Menstrual Dysphoric Disorder, you need to be alert. Remember that the hormones that cause PPD and PMDD are active after an abortion. The solution lies in making an effort towards making harmony with the self. Healing comes from within when induced by the self. Love and support from the dear ones as well as a little determination from the self may help you recover and overcome stress and other symptoms. Parenting and adoption may be seen as compensation to the wrong and a way to embrace a new life that you have once rejected. Try not to overburden yourself with guilt. Don’t be hard and harsh to yourself. Love yourself and take care.